Victory Restaurant is a frequent eat for me when I visit Shenzhen. Besides the live seafood tanks in front of the restaurant, the unmistakeable snake jar at the entrance are signatures of this restaurant right next to the Snake park next to Kingdee 100. If you take the subway, alight at the Grand Theatre on Line 1. 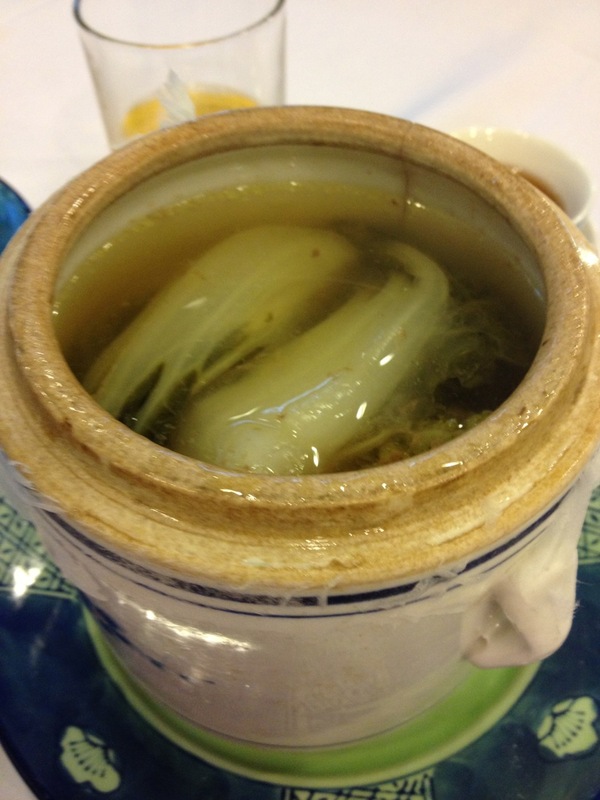 Double-boiled soups are a staple in the Southern cuisine (South of China, I mean). Depending on what’s available, different ingredients are combined with some Chinese herbs to give a refreshing and sometime body enhancing property to the imbiber. Tonight soup of the day is a double-boiled soup of pig lungs and mustard w lettuce. This is especially helpful for the early autumn to help clear the impurity in the airways and strengthen the lungs. The next dish is a Baby Romaine Lettuce with a Sesame peanut sauce. 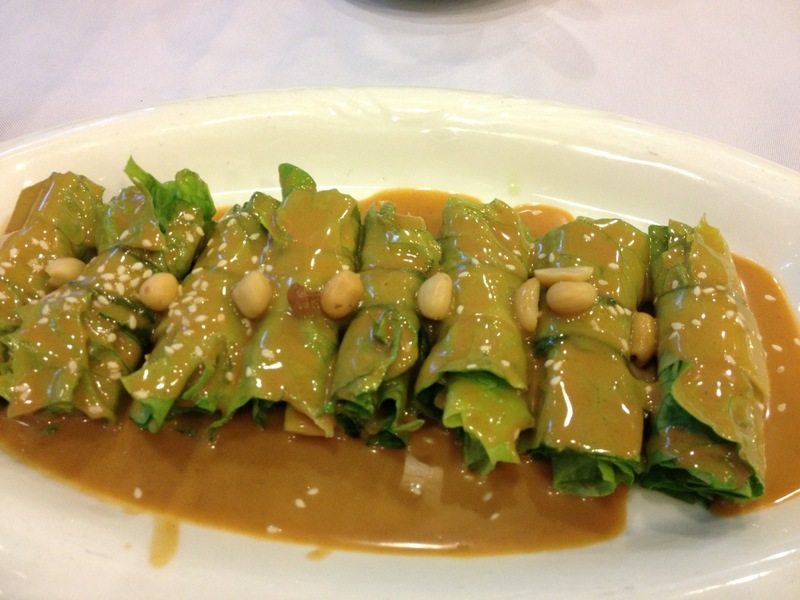 Simple dish, you take fresh crispy lettuce and drip a sesame peanut sauce over it. Lamb Rack cooked in XInjiang spices is not exactly a Southern style, but it has a poetic name in China, “The General Crosses the Bridge”. 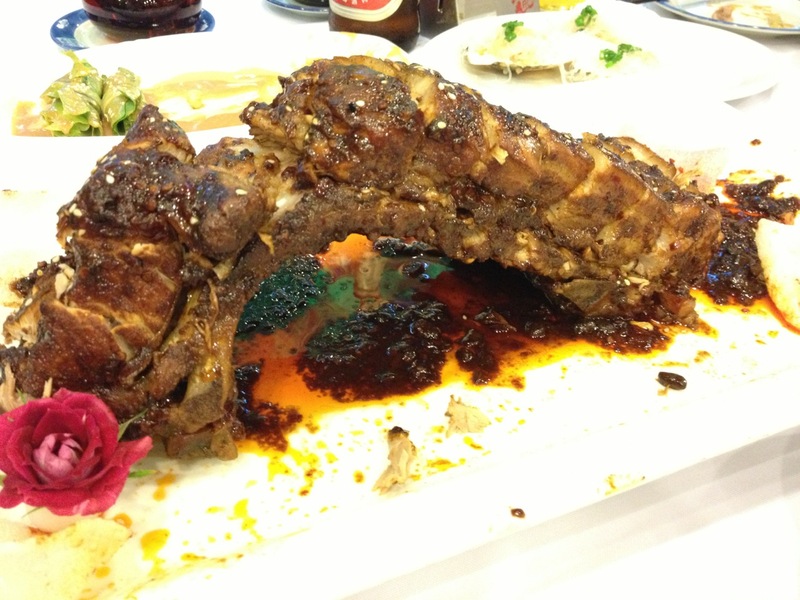 This is a deep-cooked rib that is seasoned in many herbs and spices from Xinjiang, and is spicy, rich and oily. 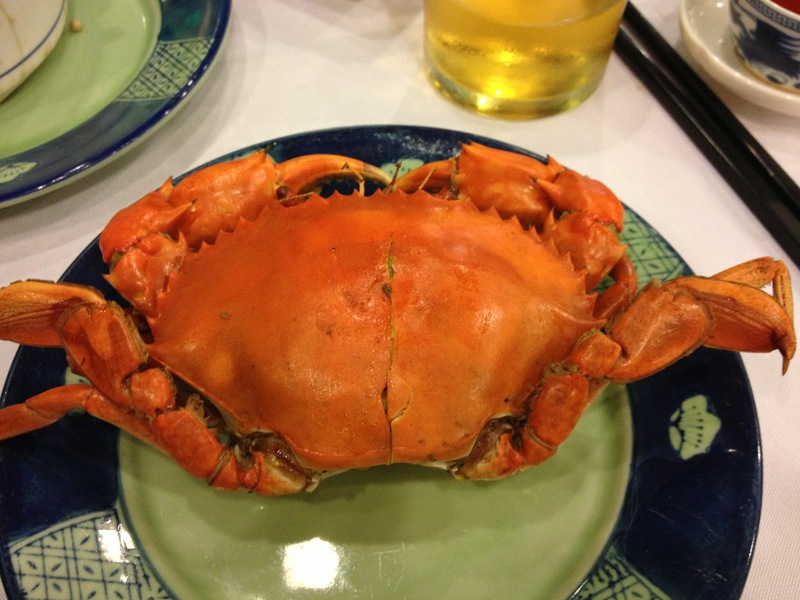 This is the season of Yellow Roe Crab. These crab store all their roe and fats, getting ready for the autumn and winter, but due to the heat of summer and early autumn, the fats melt into a creamy, golden oil that is best eaten steamed. 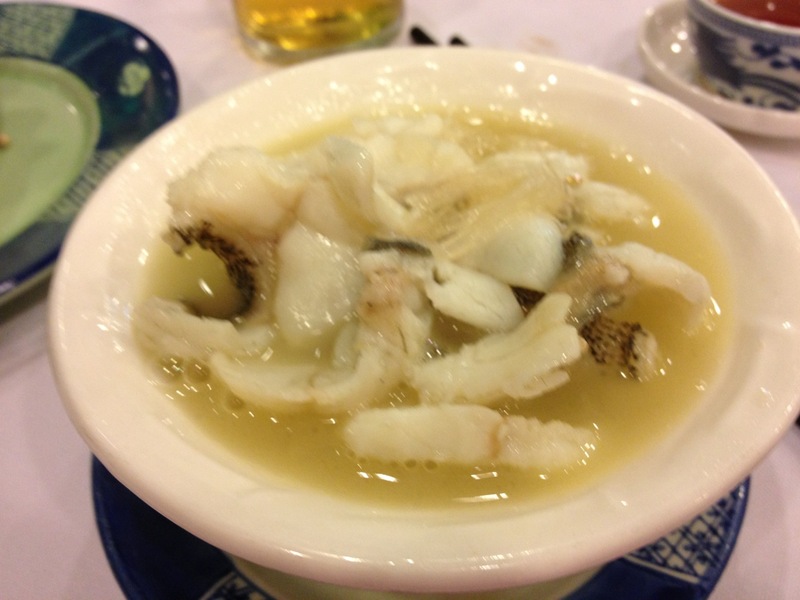 Crab meat is secondary here, but it is also sweet and tender. But the roe on the shell can beat the hairy crab at its best. Giant Garoupa ois considered a rare treat in Chinese cuisine. These Garoupa fish are typically 50-100 kg, and sometime even bigger. And all parts of the fish are used in this dish. The bones are boiled into the rich broth (with pork ribs and whole chicken). The flesh is then blanched in the rich stock and served piping hot. A rare treat. I like this restaurant, non-pretentious and reasonably price. Try it if you come to Shenzhen. Go to the one I recommend, though they have branches around town, I find this the most authentic and interesting.